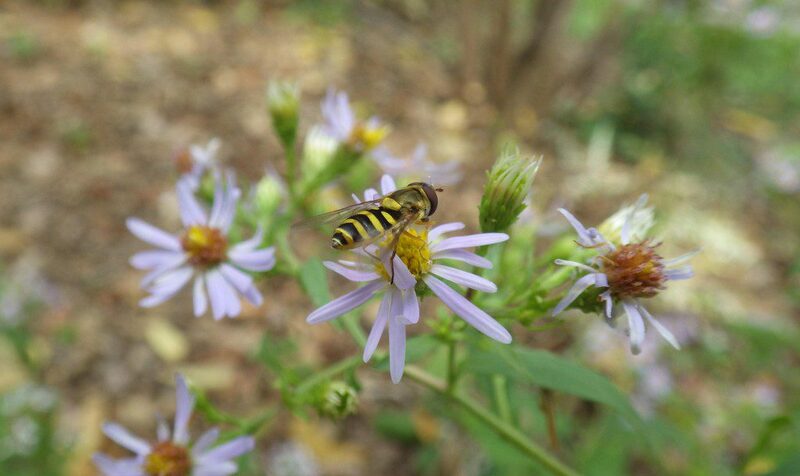 Our native wildflowers are still putting on a show, in addition to provisioning late season pollinators and butterflies searching for fuel to carry them through the winter. Some of those creatures hibernate right here, others are taking wing and heading south, but they are all adapted to count on the late season boost from those native flowers. Alexandria’s Natural Resource Specialist, Rod Simmons, was out and about today and caught some of the Native Action going on in several places; thanks Rod, for sharing your photos and knowledge! The Frost aster was in bloom at Lebanon Cemetery. Cemeteries are frequently the home of native plants whose habitat was removed from the land surrounding it, sometimes very rare plants are finding refuge there. 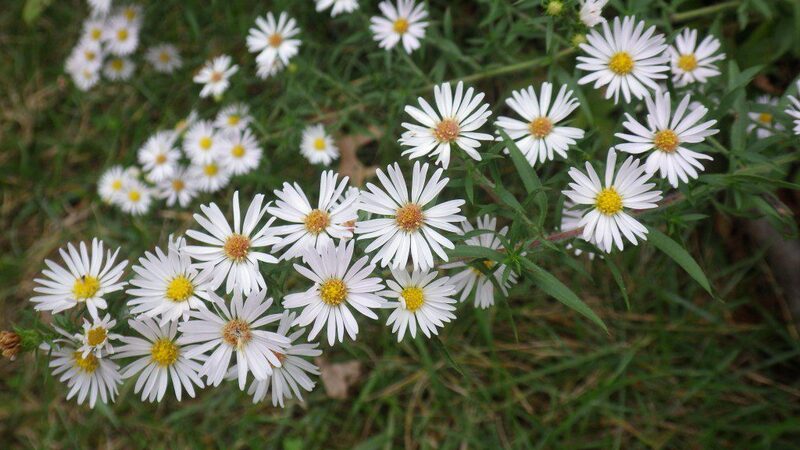 Rod found Bushy aster in abundance at Daingerfield Island along the Potomac River. 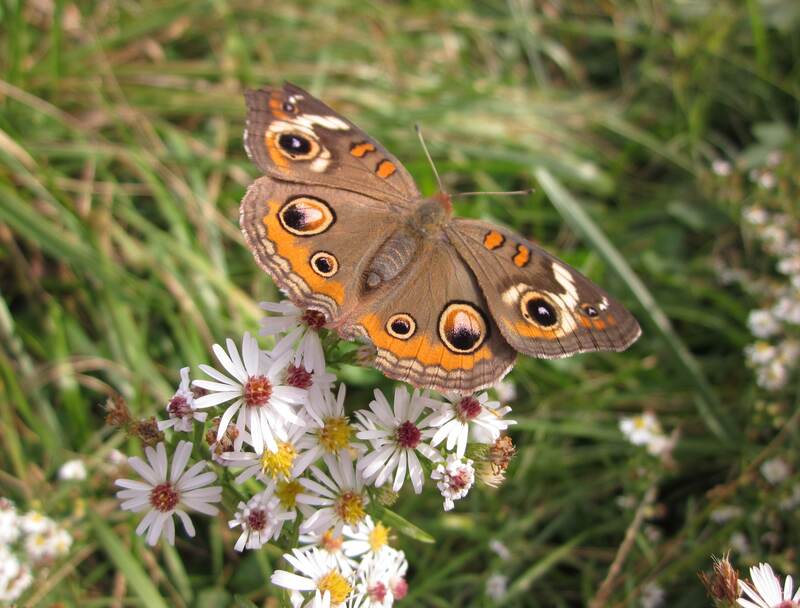 A Buckeye butterfly, Junonia coenia is the guest at this feast.